As a professional resume writer and career counselor, I’ve helped thousands of clients improve their resumes. In that time, I’ve also identified five common types of resumes that actually prevent people from showcasing their best selves. - Your resume includes details without context or outcomes. - The bullets under each role are less than half a line long. - Your resume gets you callbacks – for roles that you are way overqualified for. How Does This Resume Hurt Your Chances? You can easily spot this type of resume because it only lists the most basic aspects of the work that was performed, offering very few details about context, scope, or results. This type of resume is common among people who have trouble taking credit for the work that they’ve done. The purpose of a resume is to showcase not only the responsibilities that you’ve had, but also the value you’re capable of producing. A great resume can accomplish this by including rich, informative details about both the context of the work performed and the results that you accomplished. Quick Fix: In the first bullet under each role, try to include some details about the company (like yearly revenue or what its specialty is) to provide the reader with some context for your work experience. - You have an image – any image – in your resume. - You used Photoshop or Illustrator to develop it. - The actual words make up less than 50 percent of the page. If you’re in a design-related field, of course you want to showcase your creative skills. However, a portfolio or personal website is likely a more effective way to accomplish this. Too often, the design of the resume takes away from from the actual content, distracting the reader and leaving little room for the most important, impressive parts: the actual descriptions of the work that you’ve done. Quick Fix: Develop a new draft that includes less than 10 percent graphic elements, and then keep track of which version is getting you more calls for interviews. - A reader would need an advanced degree in your field to understand your resume. - Your bullets are more than two lines long. - Your resume contains actual paragraphs. 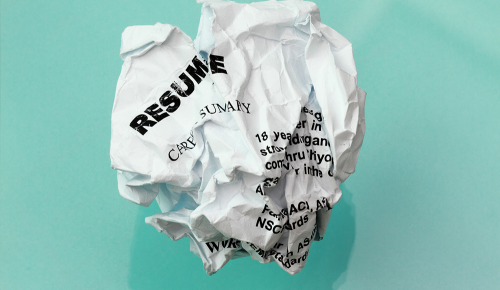 You’ve heard the statistic: Recruiters spend less than six seconds on each resume. You only have the time it takes a decision-maker to take a first glance at your resume to convince them to look more deeply. If the document looks disorganized, if you appear unqualified for the role, or if the content looks too painful to digest, they will disregard it without a second thought. Quick Fix: Pare down the language by including one comma per resume bullet. Remember that the HR team is likely not trained for your role. Ask someone who is not in your field to cross out any words that they don’t understand. You can get technical about your accomplishments during the interview. - You’ve included each and every role that you’ve ever held – and you’re not in your early twenties. - Your high school diploma is listed on your resume. - Your resume is more than three pages long. A resume should normally go back no more than 10-15 years. The main reasons for this? The unfortunate reality of ageism, and the need to fit your work history onto two pages. Perhaps more importantly, your resume should include the highest level of work that you’re capable of doing. It should highlight you current abilities while giving the employer a sense of your future potential. 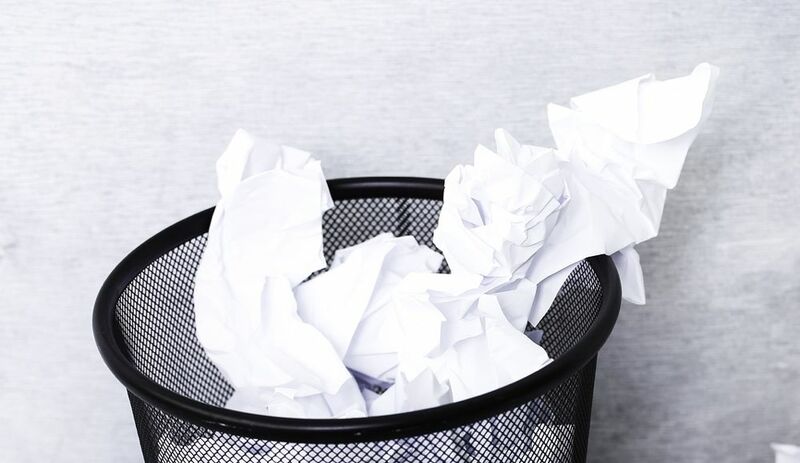 By giving valuable resume real estate to tasks that you performed more than 15 years ago, you are raising red flags that you haven’t kept up with how the industry has changed. Plus, think about it: If you sat down in front of a computer program that you used more than 15 years ago, would you even remember how to use it? Quick Fix: Cap the resume timeline at 15-20 years. If you must include an earlier role (like if you worked for a well-known company as an intern), make sure it is on the second page, and don’t allocate more than two bullets to it. - You have degrees and/or training in multiple very different fields. Ideally, a great resume will provide your full professional narrative, showing employers the skills you’ve developed and what you’re capable of. That being said, a resume is ultimately a marketing document, so you want to give the reader a cohesive account of your professional purpose without confusing them with irrelevant information. An example: I completed a furniture-building degree in my early twenties. If I’m applying for a career-training role, I probably won’t include this degree unless a.) the role I’m applying for is part of a vocational training program, or b.) I think it will provoke an interesting conversation during the interview. And even then, I would only allocate one or two lines to the degree. Quick Fix: Visualize the role. 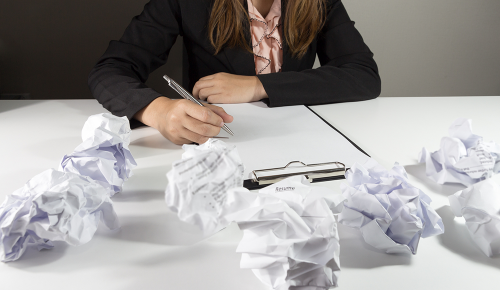 Print out your resume and review each line, asking yourself “Is this directly relevant?” for each item. If it is, great! If it’s not, is there a way that you can add details to tie the item and the role together? Andrea Gerson has more than eight years of experience helping professionals find clarity, confidence, and a renewed sense of energy around their work. She is the founder of Resume Scripter. Andrea Gerson has more than eight years of experience helping professionals find clarity, confidence, and a renewed sense of energy around their work. As founder of a top-ranked resume company, she has provided expert guidance and support to more than 3,000 clients from organizations including Google, The United Nations, and The Red Cross. She has led sold-out workshops on interview preparation, resume development, and career planning strategies, and she has a particular specialty guiding early and mid-level professionals toward career fulfillment.